Two-time Daytona 500 champion and NASCAR fan favorite Dale Earnhardt Jr. will serve as honorary chairman of the 2018 National Hunting and Fishing Day. NHF Day brings together sportsmen and women to celebrate the rich tradition of fishing and hunting with national, state, regional and local organizations hosting fishing- and hunting-related events. The annual celebration is set for Saturday, Sept. 22. Earnhardt began his racing career in 1999 and amassed 26 victories, including two Daytona 500 crowns and two championships, before retiring from driving last year. The third generation NASCAR driver is one of the sport's most beloved drivers. Race fans selected him a record 15 consecutive times as NASCAR's Most Popular Driver. Earnhardt is also an active contributor to youth-orientated charities and non-profit organizations. Dale Earnhardt Jr. and Realtree camo founder Bill Jordan after a successful whitetail bowhunt. "While Dale Jr. is best known for his success on the track, his widespread popularity and down-to-earth charm make him a great ambassador for National Hunting and Fishing Day," said Misty Mitchell, director of Conservation Programs for Wonders of Wildlife. "Our goal is to bring as much attention to the importance of encouraging new people to enjoy the outdoors and Dale Jr. is dedicated to delivering our message to ensure our proud outdoor heritage continues for coming generations." Earnhardt joins an elite fraternity of entertainment and sports figures who have served as honorary chairs, including Bill Dance, Richard Childress, Hank Williams Jr., Travis Tritt, Tracy Byrd, Jeff Foxworthy, Jay Novacek, Robert Urich, Wade Boggs, Ward Burton, Arnold Palmer, Terry Bradshaw, the USA Olympic Shooting Team, Tony Stewart and many others. "I am grateful for the opportunity to serve as honorary chair for National Hunting and Fishing Day," he said. "It's our duty as outdoorsmen and women to introduce someone to the outdoors so they too understand how our activities help fund and drive conservation. I encourage anyone who goes outdoors to take someone with them on National Hunting and Fishing Day." Even though Earnhardt retired from driving, he will remain in the world of NASCAR as a broadcast commentator in 2018. 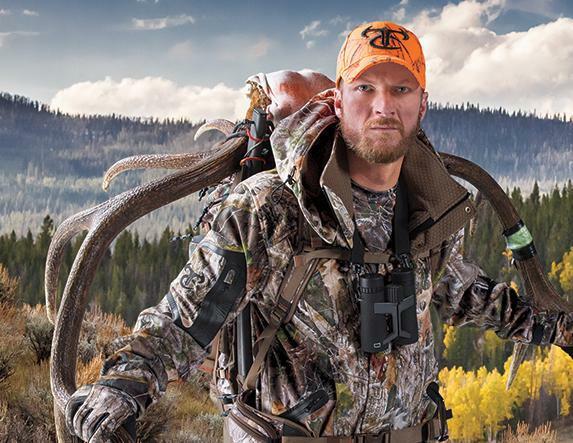 When not in the broadcast booth, Earnhardt will be scouring his Ohio hunting land for big bucks. He's no stranger to the woods and hunting or fishing, either. His father, 7-time NASCAR champion Dale Earnhardt, was a diehard hunter. The younger Earnhardt didn't really get into it until later in life, though, and has grown to love the outdoors, serenity, challenges and escape. Congress established National Hunting and Fishing Day to recognize hunters and anglers for their leadership in fish and wildlife conservation. Since launching in 1971, the day has been formally proclaimed by every president and countless governors and mayors. National Hunting and Fishing Day is dedicated to celebrating those efforts. Bass Pro Shops has been very supportive and goes above and beyond its ability to voice their values as an organization for the sportsman. NHF Day is made possible through the sponsorship and generous support of these well-respected companies and brands: National Shooting Sports Foundation, Bass Pro Shops, Yamaha, Realtree, GunBroker, Ducks Unlimited, NWTF, Cabela's, Keep America Fishing, Izaak Walton League, My Outdoor TV and the Congressional Sportsmen's Foundation. Wait, how many feral hogs did this state agency eliminate? Is your dog's chew toy contributing to deer antler theft?